AMMONNEWS - The Court of Cassation approved a decision taken by the Amman Court of Appeal not to extradite Jordanian citizen Ahlam Tamimi, to the US authorities. A judicial source told Jordan News Agency, Petra that Kingdom and the United States singed an extradition treaty on March 28, 1995, but was not approved by the Jordanian parliament. 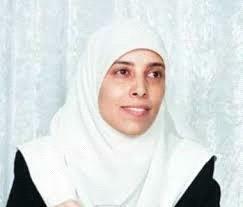 Al Tamimi was accused of conspiring to use a weapon of mass destruction against a U.S national.